An international network of telescopes may be on the verge of glimpsing the elusive ‘event horizon’ of a black hole for the first time. Scientists with the Event Horizon Telescope, a ‘virtual Earth-sized telescope’ with points all around the globe, expect to spot the edge of the supermassive black hole at the center of our galaxy in 2018. The event horizon marks the boundary past which nothing can escape – and, by capturing a supermassive black hole as it devours all that comes near, scientists hope to uncover insight on the role of these objects in the evolution of the universe. The Event Horizon Telescope started observing the Milky Way’s supermassive black hole, known as Sagittarius A, in April. In the last few months, the team has been working to process the preliminary data from the first part of the mission; just last week, the much-awaited data from the South Pole telescope, which has been in ‘cold storage,’ finally arrived at the MIT Haystack Observatory. This now means the data from April 2017 is complete. 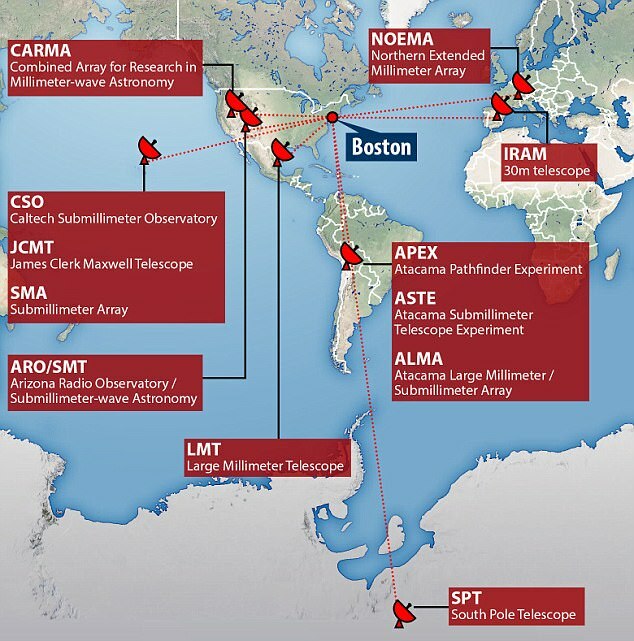 The international collaboration is set to expand next year, including the addition of the Greenland Telescope in 2018. And, the team says next year could bring a major breakthrough. 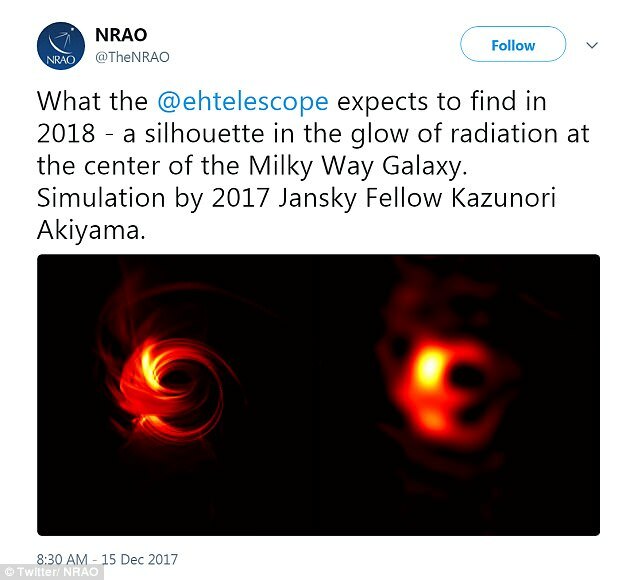 The researchers with the Event Horizon Telescope project expect to detect a ‘silhouette in the glow of radiation at the center of the Milky Way Galaxy,’ in 2018, the National Radio Astronomy Observatory revealed in a tweet last week. 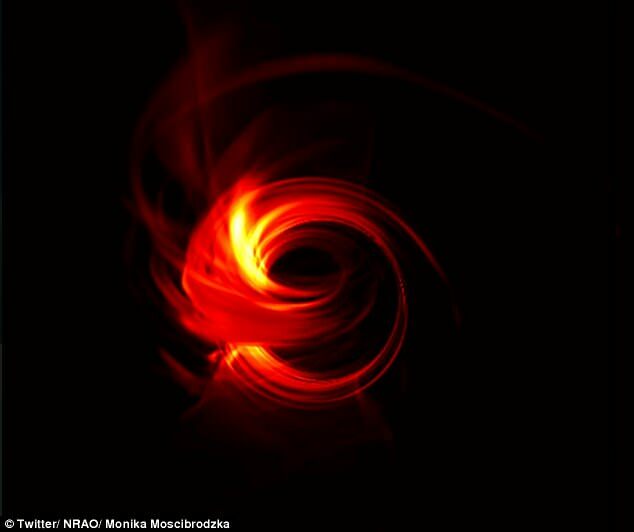 A stunning simulation also shared on Twitter reveals what a black hole could look like under different conditions, including those best to be captured by EHT. The telescope relies on a network of widely spaced radio antennas. 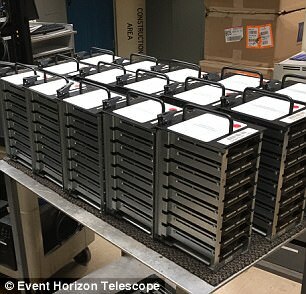 These hard drives will be processed at the MIT Haystack Observatory just outside Boston, Massachusetts. The video simulates a black hole at different frequencies and wavelengths of light. 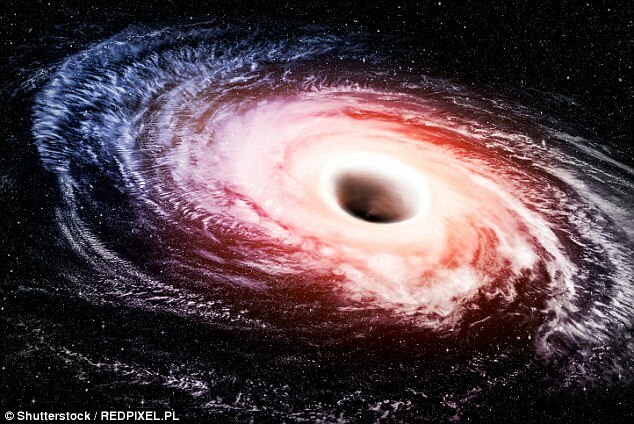 ‘Around 1 mm wavelength, the accretion disk becomes transparent and we can see the black hole silhouette, which is optimal for EHT observations,’ according to the Event Horizon Telescope’s twitter account. If scientists are able to successfully image Sagittarius A, the breakthrough will serve as a key test for Einstein's theory of gravity and could cause us to rewrite our understanding of basic physics. 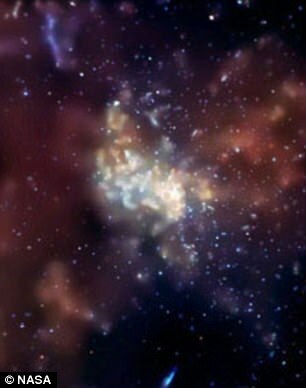 Sagittarius A is 26,000 light-years from Earth and is probably around 20 million kilometres across. 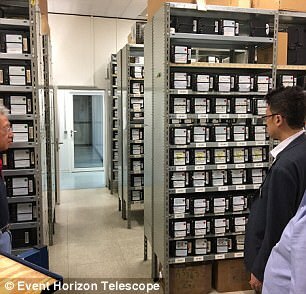 Scientists are hoping the Earth-sized 'virtual telescope', which relies on linking lots of radio receivers, will be able to capture its event horizon for the first time. The event horizon of a black hole is the boundary within which nothing is able to escape its gravitational pull - hence the name of the telescope, the 'Event Horizon Telescope'. Their telescope relies on a network of radio antennas all over the world, from the South Pole, to Hawaii, to the Americas and Europe. This mimics the aperture of of a telescope that can produce the resolution needed to capture Sagittarius A. According to Einstein's equations, light would be caused by gas and dust accelerating at high speed and being torn apart. This means the black hole might look like a series of gold rings. Evidence of a black hole at the centre of our galaxy was first presented by physicist Karl Jansky in 1931, when he discovered radio waves coming from the centre of our galaxy. Many of these black hole seeds then merge to form much larger supermassive black holes. Alternatively, a supermassive black hole seed could come from a giant star, about 100 times the sun's mass, that ultimately forms into a black hole after it runs out of fuel and collapses. 'As I've said before, it's never a good idea to bet against Einstein, but if we did see something that was very different from what we expect we would have to reassess the theory of gravity', project leader Sheperd Doeleman from the Harvard-Smithsonian Center for Astrophysics in Cambridge, Massachusetts told the BBC. However, it won't all happen at once. Algorithms will then make sense of the observations, but this is a long process and it won't be until the end of the year or perhaps the start of 2018 that we will be able to see the results. 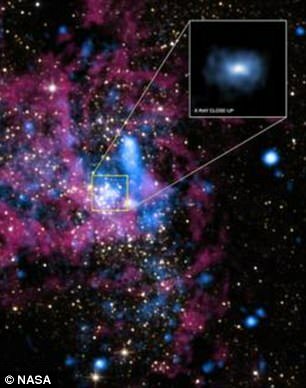 Not only would it be a triumph to get a picture of Sagittarius A but if there are flaws in Einstein's theory then this image of a black hole is likely to expose them.